How does a developer get 15,5 Million KWh of power per annum to 2500 tenants without anyone blowing a fuse? 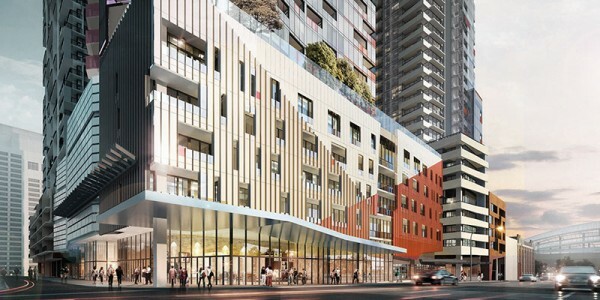 A new site test case on how to save money and deliver full utility services, on time, for Melbourne’s biggest and fastest selling apartment precinct. Upper West Side a new CBD project by Far East Consortium. Far East Consortium is a successful international property development company with strong Australian presence. Far East Consortium has contributed significantly to the Melbourne skyline with landmark properties that include: Royal Domain Towers, St.Kilda; NorthBank inner-city apartments; and Flinders Wharf apartments. Upper West Side is their latest and most ambitious new project yet. A huge success, selling 1300 apartments in a 12 month period. The project includes 2500 apartments, a retail precinct and 1 acre of roof-top gardens, gyms and amenities, planned over 4 stages (towers). The size and planned roll-out of the development were challenges right from the start. Services and infrastructure needed to be planned from scratch, from the bottom right to the top, to be delivered on time, in planned stages and all at a competitive price. For this dynamic project the developers were seeking a complete energy, telecoms and data supply from a company that had the developer knowledge, logistics and facilities management skills to match. Our recommended was an Embedded Network solution incorporating a customised electricity distribution network created purposefully for this multi-tenant building. The network effectively bands together tenants enabling a “buying group”. This allows AU to purchase utilities at a wholesale/bulk rate. The services are then on-sold to tenants at competitive retail rates. The network also allowes the Owners Corporation to take advantage of the wholesale rates, passing on the savings to owners. AU is currently rolling out the third stage of this mammoth contract. So far everything has been delivered on time and budget.